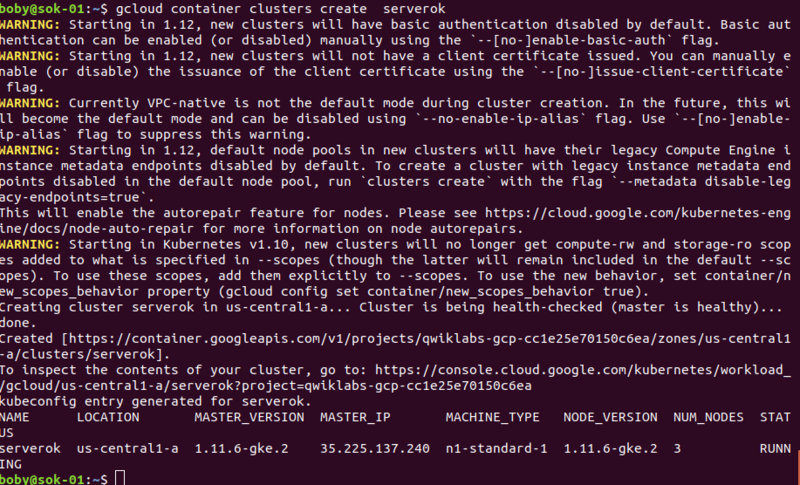 gcloud container clusters create CLUSTER-NAME --num-nodes 2 --machine-type n1-standard-2 --scopes "https://www.googleapis.com/auth/projecthosting,cloud-platform"
This will deploy google provided hello-app container to the cluser. To make the application available to public, create a loadbalancer service. kubectl expose deployment hello-server --type="LoadBalancer"